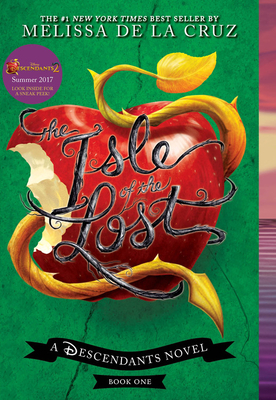 Twenty years ago, all the evil villains were banished from the kingdom of Auradon to the Isle of the Lost-a dark and dreary place protected by a force field that makes it impossible for them to leave. Stripped of their magical powers, the villains now live in total isolation, forgotten by the world. Melissa de la Cruz is the best-selling author of many novels, including the second book in this series, Return to the Isle of the Lost, as well as the books in the Blue Bloods series: Blue Bloods, Masquerade, Revelations, The Van Alen Legacy, Keys to the Repository, Misguided Angel, Bloody Valentine, Lost in Time, and Gates of Paradise. She lives in Los Angeles with her family. Find Melissa online at melissa-delacruz.com, on Twitter @melissadelacruz, and on Facebook and Instagram @authormelissadelacruz.